Shadowman #1 Review – AiPT! In its modern incarnation, the Valiant Universe has maintained a stellar track record of accessibility, offering very few series which can’t be read completely on their own. I’ve sampled a variety of their characters this way without needing to go back and catch up on years’ worth of back issues, and I’ve found it makes for an interesting way of building a universe–giving it a feeling of spatial and temporal scope more streamlined than the Big 2’s universes. 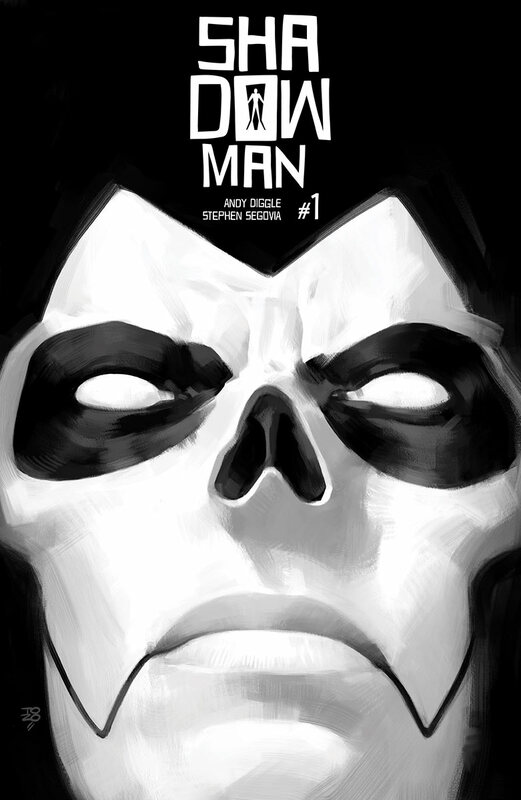 So with that in mind, I was excited to check out the debut of the newest title in Valiant’s lineup, Shadowman, the return of an ongoing series the publisher first tried back in 2012, but which lasted only sixteen issues. Despite being one of the publisher’s most recognizable characters he has only had a few minis and one-shots since, making this new series by writer Andy Diggle, with art and colors by Stephen Segovia and Ulises Arreola, Shadowman’s first ongoing series in quite some time, and my first foray into the character’s solo adventures. This first issue focuses on the return of Jack Boniface–aka the loa-possessed hero Shadowman–to Earth after five years, having spent that time trapped and enslaved in the Deadside, the Valiant Universe’s terrifying underworld. But the main character for most of this first issue isn’t Jack, it’s Alyssa Myles, his former girlfriend, who has been mastering the supernatural arts in the time since his apparent death and has become a powerful voodoo mambo. She’s been using her abilities to help the people of New Orleans, and while investigating something in the bayou that has been making children sick, she stumbles upon things she never expected to find. One of those is obviously Jack, and much of the rest of the issue is the two of them discussing what has happened to him in the last five years, from the end of his last ongoing through the events of last year’s crossover series Rapture. Now you may be thinking, “Hold on, I thought you said I could read this on its own!” And you’re right, I did say that. And you could technically read this on its own, but I have to say it does feel unusually mired in previous continuity for a Valiant book. I was familiar with Jack’s situation from Rapture, so I wasn’t too lost, but if a reader came into this cold, I’d imagine they might feel a bit confused at how this is the first issue of the series when it already has this much backstory. Despite the info-dump, the issue does manage to set up some enigmatic antagonists and a mystery thread or two, and it doesn’t do so for lack of action. All of the exposition is woven through some pretty fun and engaging scenes where Segovia gets to show his flair for illustrating dynamic, cinematic action sequences–and for creating pretty cool creatures too. Arreola’s colors compliment the linework nicely, keeping the action clear without losing any sense of setting, which is important when the locale has such a distinctive look as a Louisiana bayou. He also creates some unique lighting effects in panels with magic spells that give the book an aesthetic that is realistic but appropriately otherworldly. It’s a great looking comic, and the art team is really well-suited to the character. Overall, Shadowman #1 is by no means a bad comic, and fans of the character who’ve been awaiting the return of his series will find little to complain about. But if you’re a new reader or coming from elsewhere in the Valiant Universe, you may feel like you’re jumping in the middle of Jack’s story, and not given much reason as to why you should care about his return. Shadowman packs a lot into its pages, but I can’t help but feel like there was a missed opportunity for a fresher start here, especially given how long the series has been away. However, now that the exposition should be out of the way, I will be curious to see how the series finds its footing and what direction it takes over the next few issues. With the talented creative team, pair of interesting leads, and the interesting story seeds that have already been planted, there is certainly potential for a great supernatural adventure here, despite the slow start. While visually interesting and action-packed, the first issue of Shadowman is held back by being too rooted in the character's continuity, making it a less effective jumping on point for new readers.